The WHRL accomplishes it’s mission through a variety of programming focused on health and wellness. 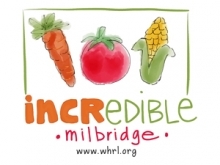 Incredible Edible Milbridge (IEM) is a series public vegetable gardens and education initiatives designed to create a community that is stronger, healthier, and more food independent. Click here to learn more about Incredible Edible Milbridge. The Bone Builders Osteoporosis Prevention and Reversal Program is an effective combination of weight bearing, balance and stretching exercises. It also includes nutritional information and support for all stages of osteoporosis. Originally developed from the Strong Living Program of Tufts University, Bone Builders is a free, ongoing program open to all those with a concern for osteoporosis. When followed diligently, the Bone Builders program and exercises can help the body to increase bone density and reverse the effects of osteoporosis. Classes meet twice weekly, once for an hour with the second class having an additional quarter-hour for education. Classes include standing and sitting exercises, utilizing hand weights and ankle weights for resistance training. Weights are provided. Class leaders receive special training. Medical clearance is required. Classes are limited to fifteen people. For more information, contact Marion LaFolette 483-2376 or email us. Women’s Health Trivia Night is held three times a year. This is a fun way to learn the latest of women’s and family health issues – and Everything you didn’t learn in Health Class! Follow our Facebook page or subscribe to our email list to receive notices of upcoming events. Yoga with Geri is offered on most Thursdays beginning from 5:30-7:00 p.m. $10 per night. Weight Watchers offers a personalized approach to healthy eating and activity that can help you achieve your weight loss goals. As a meeting member you will receive all the tools you need to be successful with Weight Watchers including a full set of written program materials including our program booklet, Beyond the Scale Plan Guide. *The actual length of this Weight Watchers series depends on the number of pre-paid members signed up for the class. With 20 or more members, the class will run for 20 weeks. 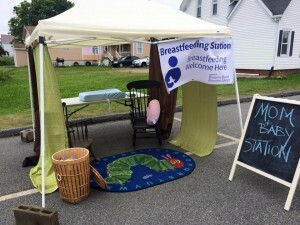 Look for our Mom and Baby Station at area events and fairs. Perfect when you want a comfortable place to stop and nurse your baby or just to change a diaper! The Elaine Hill Love a Nurse 5K Walk/Run is held each year to honor Elaine Hill and her commitment to our community. The proceeds from the walk fund the Elaine Hill Memorial Scholarship. WHRL organizes the Milbridge 5K and Fun Run held during Milbridge Days. Beginning in June, you can find the race information here. The WHRL’s Annual Auction is held the last Friday/Saturday of July during Milbridge Days. This well loved fundraiser features a Chinese Auction of handcrafted one-of-a-kind items, art, jewelry, and gift certificates for fine dining, shopping and more! Additionally, there is a Silent Auction component featuring custom decorated items by artisans in the community. 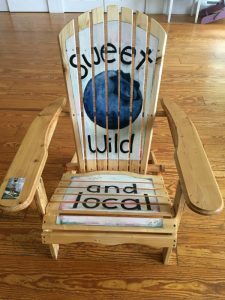 In 2017, artists painted Adirondack chairs. in 2018 artists will be converting a 5-panel bench into a work of art! Interested in donating a gift-in-kind to our auction? Contact us! 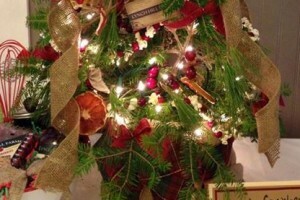 The first Saturday in December is typically our second big fundraiser of the year – the Christmas Tree Festival and Auction. Live tabletop-sized Christmas Trees decorated by community members and businesses are auctioned. You’ll find everything from classic to whimsical. This auction is a wonderful way to kick off the holiday season. Click here to learn more. Read more about SoulCollage® here.